– The Government has sought approval from Parliament to infuse another Rs.2,345 crore into Air India. The funds will be used to meet airlines’ operational costs. – Airtel has set up a special committee to explore and evaluate various fundraising options. Airtel has been trying to strengthen its capital structure to take on rivals Reliance Jio and Vodafone Idea. – Amazon is set to introduce various new measures to clamp down on fake sellers and take out potential counterfeit products from its platform. It is witnessing a high number of instances of unverified sellers listing fake products. – Sterlite Industries has approached Tamil Nadu pollution control board for permission to operate its copper plant. NGT had set aside Tamil Nadu government’s order last week clearing the way for reopening of the plant. – DCGI has ordered J&J not to use talc raw material from its Mulund and Baddi plants till further orders. Drug inspectors collected samples of baby powder from both of these plants. It has been alleged that the baby powder contains cancer-causing asbestos. – State-owned Power Grid Corporation has got shareholders’ approval to raise FPI shareholding to 35% from existing 30%. – CBI arrested eight PNB employees and two directors of a Mumbai-based private firm in a $1.4 million fraud case. Though not related to Nirav Modi case, it is from the same branch. – Parliament’s Public Accounts Committee has sought an inquiry into DGH-led panel approving Reliance Industries’ $1.529 billion plan for developing four satellite gas discoveries in KG-D6 block without independent validation. – DGCA is assessing the health of Jet Airways on a fortnightly basis since its financial audit in August. – Senior officials of RCom and Reliance Jio met Telecom Secretary to resolve issues flagged by DoT. DoT, however, is said to have refused to clear the deal unless it gets clarity on payment of dues and associated charges. – All India Bank Officers Confederation has appealed for a strike on 21st. United Forum of Bank Unions’, an umbrella body of 9 bank unions, has also called for a strike on 26th December. – IDBI Bank has received a final letter from LIC for an open offer for acquisition of an additional 26 per cent. – Oman Air is in discussions with the Indian government to increase weekly seat entitlement for expanding its services. 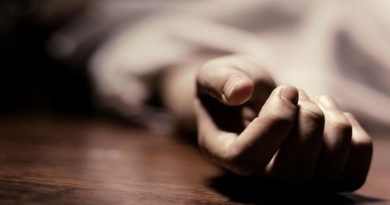 – Indian drug inspectors are said to have seized samples of J&J’s baby powder from its Baddi plant. – Binny Bansal is reportedly negotiating fresh terms of cash payouts with Walmart of around $100 million. Binny had to receive around $850 million for approx. 50% of his stake in Flipkart after August 2020. – Dewan Housing Finance will exit the mutual fund business by selling its entire stake in DHFL Pramerica Asset Managers to its JV partner Prudential Financial Inc.
– Saudi oil minister has said that Reliance and Saudi Arabia are in discussions for investments in an oil refinery and petrochemical project. – DoT has told RCom and RJio that it cannot approve their deal to trade airwaves as it does not conform to the guidelines. Jio had written to DoT seeking assurance that Jio will not be held responsible for RCom’s past dues related to airwaves. – IBM has set up an advisory board to drive growth. The board will be led by Neelam Dhawan, ex-HP India head. – A group of e-pharmacies has filed an appeal against Madras High Court order to shut down operations by Dec. 20. – Central Drugs Standard Control Organization has decided to investigate J&J’s baby powder. Recently there were reports of J&J knowing for decades about the presence of cancer-causing asbestos in the product. – Bombay high court has declined to stay RBI directive to the promoters of Kotak Mahindra Bank to lower their stake in the bank by 31st December. – Dubai’s DP World has approached Indian court to quash India antitrust probe over Mumbai port. Last month CCI had alleged suspicion on antitrust violations by DP World and A.P Moller-Maersk. – Facebook, for the first time globally, has started the process of manual verification of documents of political advertisers. Advertisers and agencies will have to provide scanned documents, which will then be verified by the India team. – GST Council, on Saturday reduced tax rates on 22 items, of which seven were in 28% slab. – CBDT has said that no coercive action on tax demands on startups would be made until an expert panel resolves the issue of taxing startups. – RBI would be injecting Rs.500 billion of liquidity in December through its open market operations. – Central Board of Direct Taxes has ordered IT Deptt to create a 12-member committee of senior officials to restructure the IT dept. – Shell Eastern Petroleum has entered into an agreement with Cleantech Solar to acquire 49% stake in the company. The deal amount has not been disclosed. – Quikr has acquired India Property Online, a real estate platform, for an undisclosed amount. The acquisition is part of Quikr’s strategy to build transaction business on top of the classifieds. Quikr has so far acquired 14 companies across categories. – ICG Strategic Equity, the PE arm of the US-based Intermediate Capital Group, has agreed to buy Standard Chartered’s PE assets for $1 billion. – Brookfield Asset Management of Canada is in advanced stage of discussions to buy four luxury hotels and a large land parcel owned by Hotel Leelaventure for around Rs.4,500 crores. – Sapphire Foods, Yum! Brand’s largest franchisee of in India, has raised Rs.225 crore in a fresh round of funding led by Edelweiss. – As per Twitter’s ‘top 10 most engaging brands’ tally, handset makers – Honor India, Samsung India, OnePlus India, Xiaomi India and Motorola India took the top 5 spots. – As per a DIPP survey, Gujarat is the best place for startups. – As per the data published by Trai, Reliance Jio tops 4G download speed chart with an average speed of 20.3 Mbps and Idea in the upload speed of 5.6 Mbps. – As per a report by AgFunder, a US-based farm investor, and Omnivore Ventures, an agri-tech-focused investor, Indian farm and food startups raised $1.6 billion during 2013-2017. – Fortis case – Sebi has directed Fortis to recover Rs.403 crore from Singh brothers and seven others. It has barred Singh brothers from associating themselves with the affairs of Fortis Healthcare and Hospitals in any manner whatsoever. – Bhushan Power and Steel update – NCLAT has reserved its order and asked all parties concerned to submit their written submissions by December 26. – Vijay Mallya case – Vijay Mallya is said to be preparing to appeal against UK court extradition order. He can go to the Court of Appeal, the process where could take month. – IL&FS update – Govt appointed board of director of IL&FS is planning to offer firm’s road assets for sale. The proposed sale may be carried out as a basket/individually or as an undertaking comprising all offered assets and businesses. – IL&FS is looking sell education and fund management business. – Fortis case – IHH Healthcare has told Malaysian stock exchange that it will not proceed with the open offer for Fortis Healthcare as of now. The move is the result of Supreme Court’s order to maintain the status quo.s and Indian agencies may not be able to expedite it. If he loses there as well, he would still be able to apply to UK’s Supreme Court. – Infosys has appointed Nilanjan Roy as its new CFO. Nilanjan will replace interim CFO Jayesh Sanghrajka, who will resume his responsibilities as Dy CFO. Roy was Airtel’s global CFO. – Infosys has hired Mark Livingston as head of consulting business. Mark was earlier with Cognizant reporting to its CEO. – Karandeep Anand will head Facebook’s Workplace product team. An IIIT Hyderabad graduate, Karandeep is with Facebook for 4 years. He was earlier with Microsoft for around 15 years. – Uday Shankar has been elected VP of FICCI. He is currently Chairman & CEO of Star India and President of 21st Century Fox Asia. He is the first Indian media and entertainment industry head to be elected for a leadership position in FICCI. 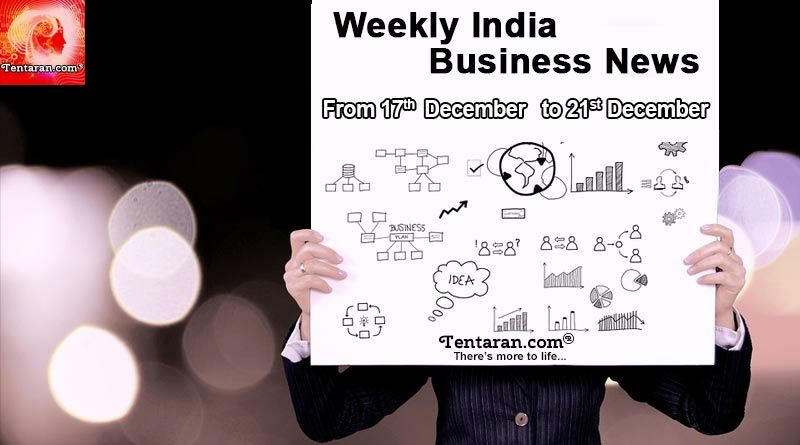 For more details on Weekly India Business News 17th to 21th December 2018, do like and Subscribe to tentaran.com and follow us on Facebook, Twitter and Google+.